When I asked both of my girls what was one of their most favorite things to do other than rides at Pandora – World of Avatar they both had no hesitation to share their love of becoming Avatar’s themselves. 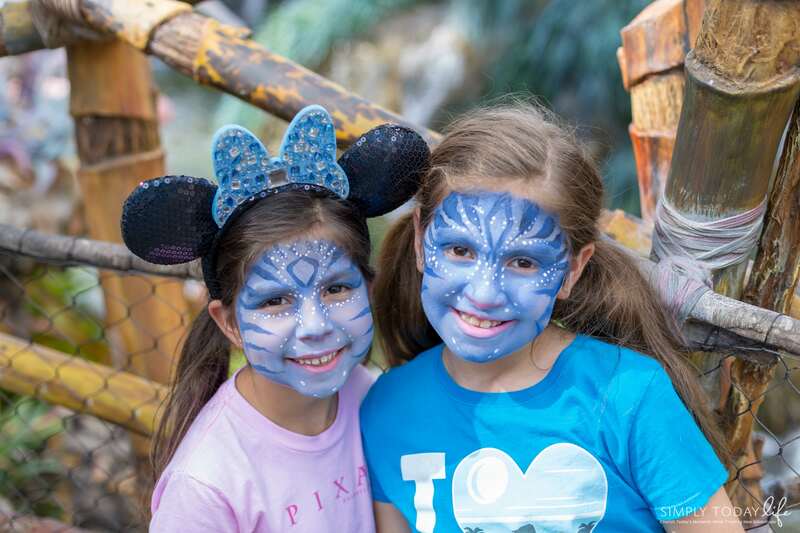 Located just before the Na’Vi River Journey you will find a cart where anyone is able to get their face painted as the Na’Vi people themselves. There are about 10 or so different face painting designs to choose from. The one my girls chose is called Na’Vi. My oldest daughter who is eight-years-old is a huge fan of fast rides. She can’t wait to be able to ride some of the bigger roller coasters out there, so I just knew she was going to love Avatar Flight of Passage. Oh, and I wasn’t wrong! In fact, this little girl just wanted to ride it over and over again! Grateful for the fast passes Disney provided us, she was able to ride it three times in a row! I don’t think she could get enough of it. My six-year-old, on the other hand, sat this one out. She’s not a fan of fast rides, so I knew that she wouldn’t take it as well as my oldest daughter. So if you have kids who love fast rides, then they will love Avatar Flight of Passage. 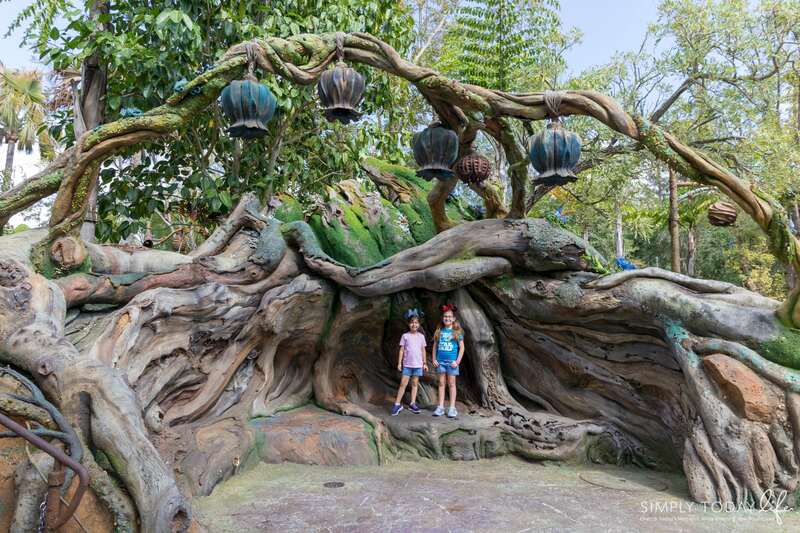 If you have little ones who prefer something smoother, then make sure to check out the Na’Vi River Journey. The Na’Vi River Journey was more my six-year-olds kind of ride. Slow, magical, sitting next to mommy, and breathtaking colors. Just like my oldest loved Avatar Flight of Passage, but youngest was all about the Na’Vi River Journey boat ride. There are no drops, you won’t get wet, and it’s the perfect speed for those who are not a fan of thrill rides. This ride gives you a look into the world of Pandora as we know it. 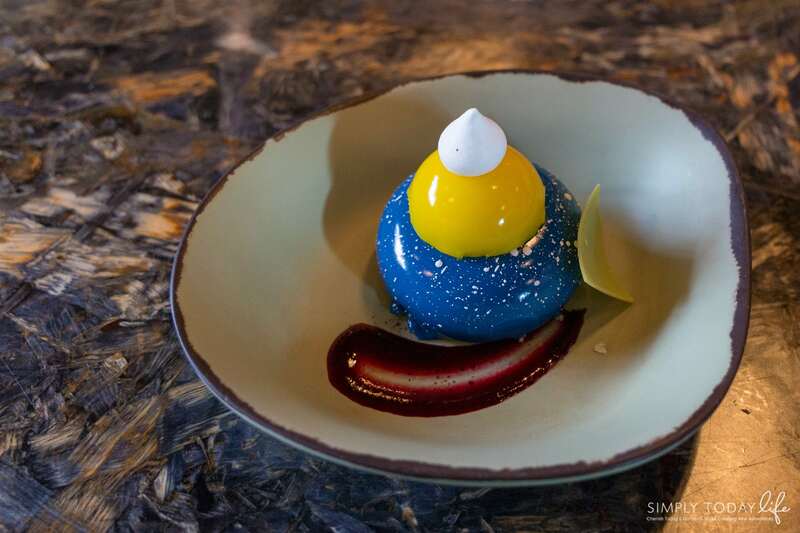 As a parent of a child who suffers from several food allergies, Disney is the one place we all feel she is able to enjoy awesome food without worries. Disney is so great in always making sure they have items available for those who suffer from food allergies. 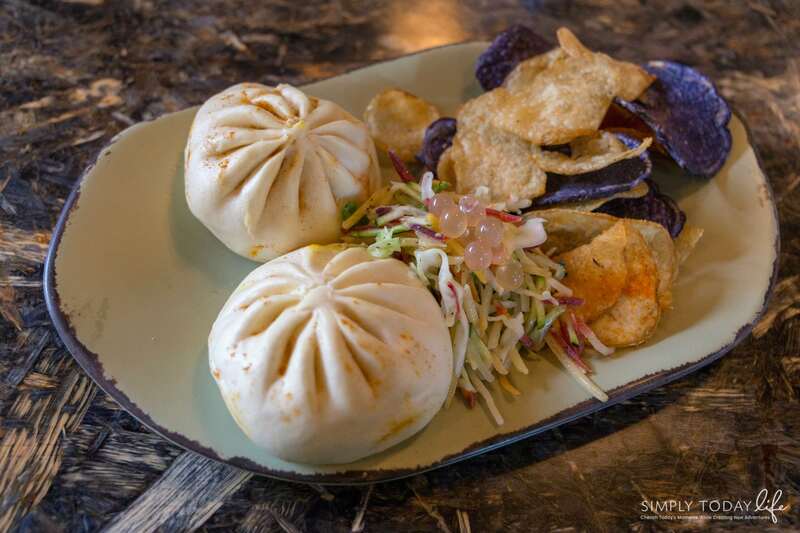 Though Satu’li is considered a fast-casual dining option, they still offer an allergy-safe menu. 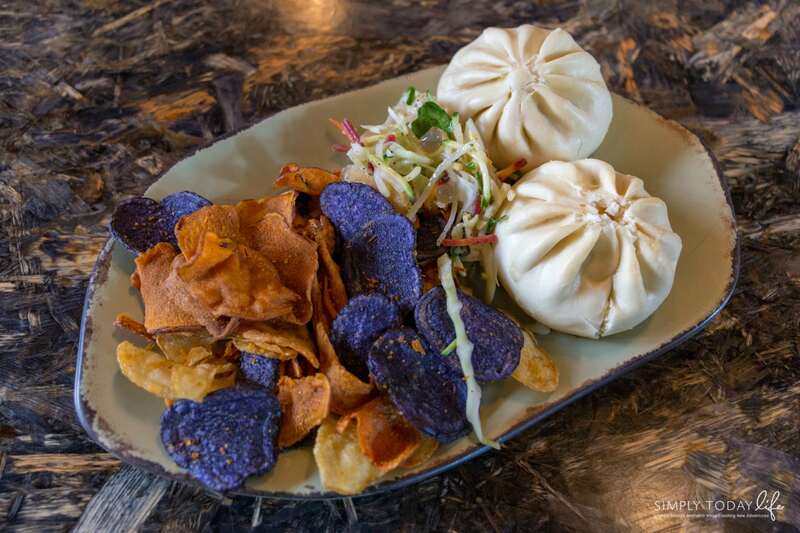 The menu is inspired by Pandora’s natural cuisine with an amazing menu that the entire family will love! 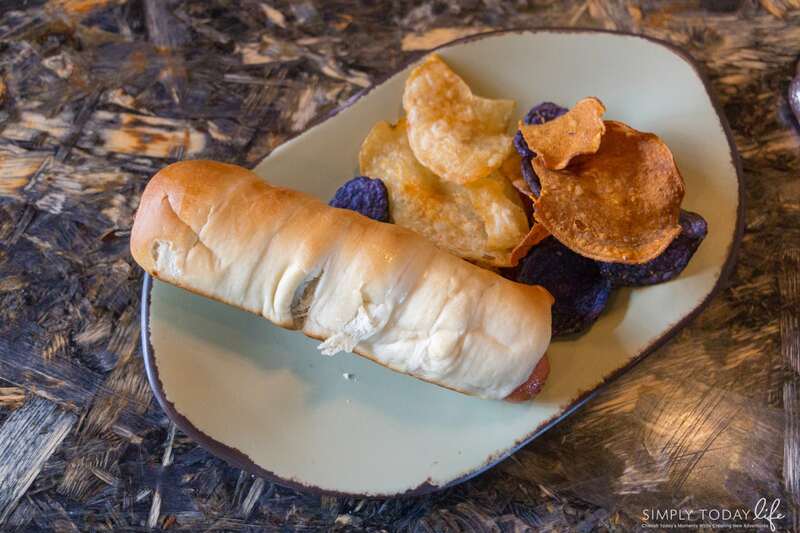 Both of my daughters ordered the “Teylu” All-beef Hot Dog wrapped in dough. This item is also nut-free, perfect for my peanut allergy daughter. My husband and I ordered the Steamed Pods. I tried the Cheeseburger Steamed Pods and he ate the vegetable Steamed Curry Pods. These are also nut free. As a huge Disney fan, I also have to include two of my must tips when visiting Pandora – World of Avatar with kids. Trust me when I say these two are my go-to plans when I bring my girls to Walt Disney World. It will make life easier for you and them. We all know that when we visit Disney lines are everywhere. Starting with the lines and not ending when grabbing food. Good thing Disney knows how to make everything so much easier for families. Especially with their new mobile food ordering capabilities in the My Disney Experience app. Just imagine being able to order and pay for your families food order ahead of time. Not worrying about meltdowns or waiting for everyone to decide what they want to eat. If you need an allergy safe menu I suggest ordering at the location. They have a list of allergy-friendly items (I meant to take a photo of the menu and forgot. Sorry about that). Here’s a step by step photo on how the app ordering process is. You go online on your My Disney Experience App and find the ordering section. Choose the location available with mobile food ordering. Order the entire family what they want, including drinks and desserts. Once you arrive and you’re ready to eat simply go back into your app and let them know you are there. Stand in the pickup line. We waited for about five minutes or so and our food was ready. It was amazing! I don’t know about you, but I’m not a fan of waiting in lines and less of a fan of waiting in lines with my two girls. They can get pretty anxious towards the end of the day, so that’s when you need to plan fast passes. Especially when you are planning on visiting Pandora. Yes, it’s one of the most popular areas at Disney right now, so make sure to book these fast passes as soon as your trip is booked and allowed to do so on your app. 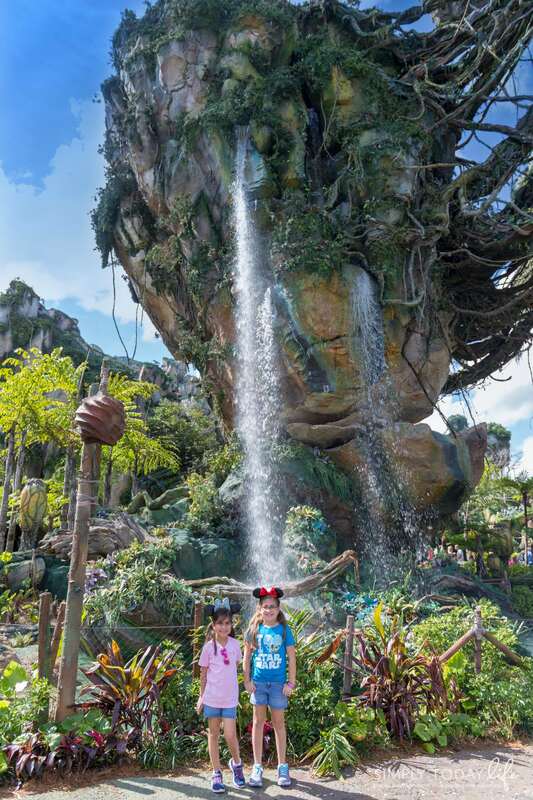 Walt Disney World Resorts is one of the most magical vacations you can take with your family, but Pandora – World of Avatar is something new that Disney is bringing for families. I hope this parenting guide to the best Disney Pandora Experiences For Kids helps your family experience the magic of Disney even more! For more details about visiting Pandora – World of Avatar visiting the Walt Disney World website. 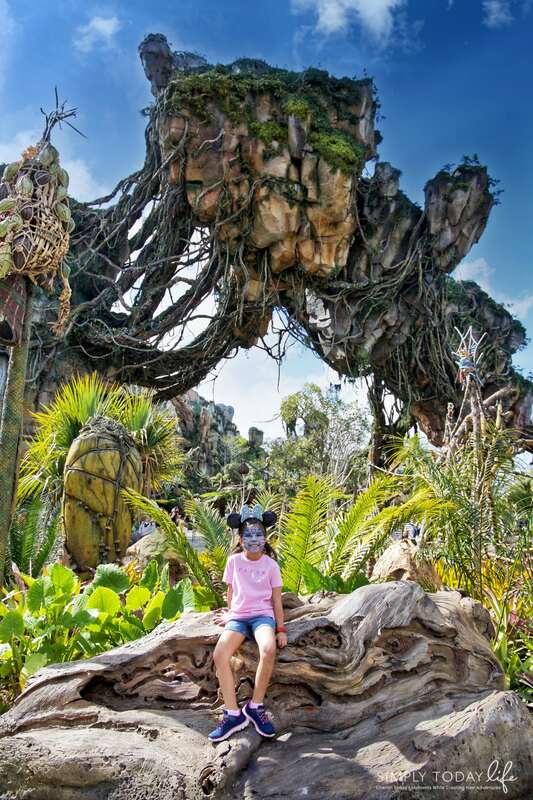 Has your family experienced Pandora – World of Avatar? This looks like so much fun and the food looks amazing too. If we ever get to visit I want to give the app a try. Oh it has been awhile since we have down there…that is something we would really enjoy! I think we are going to plan a trip down next winter…have to add to our to do list!